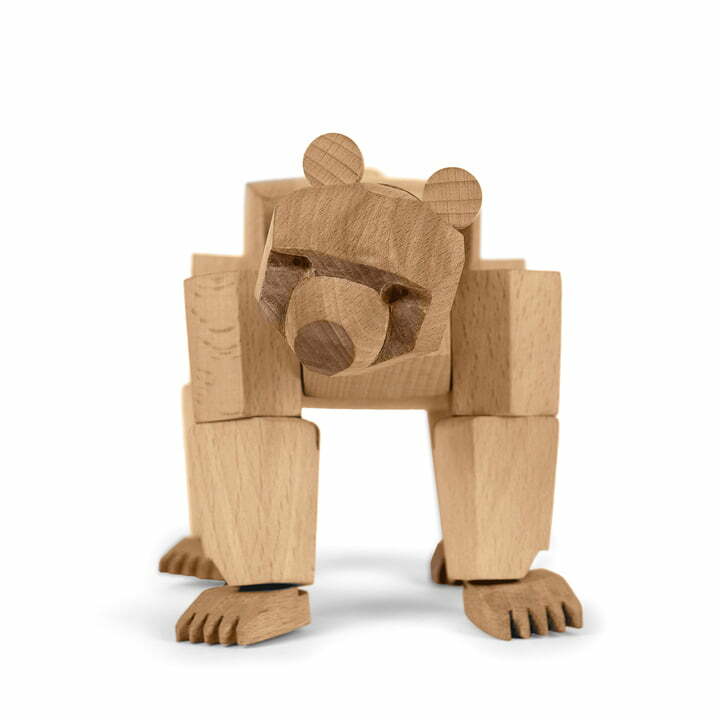 As strong as a bear! 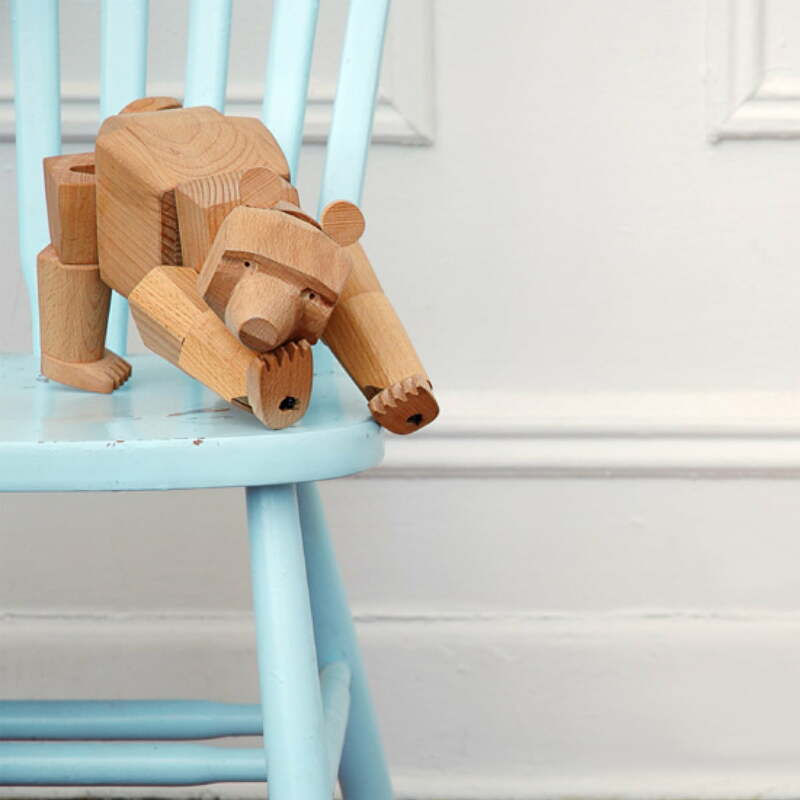 Ursa the bear is an original wooden toy-animal with a lovingly expression for small and grown-up children from 12 years up. 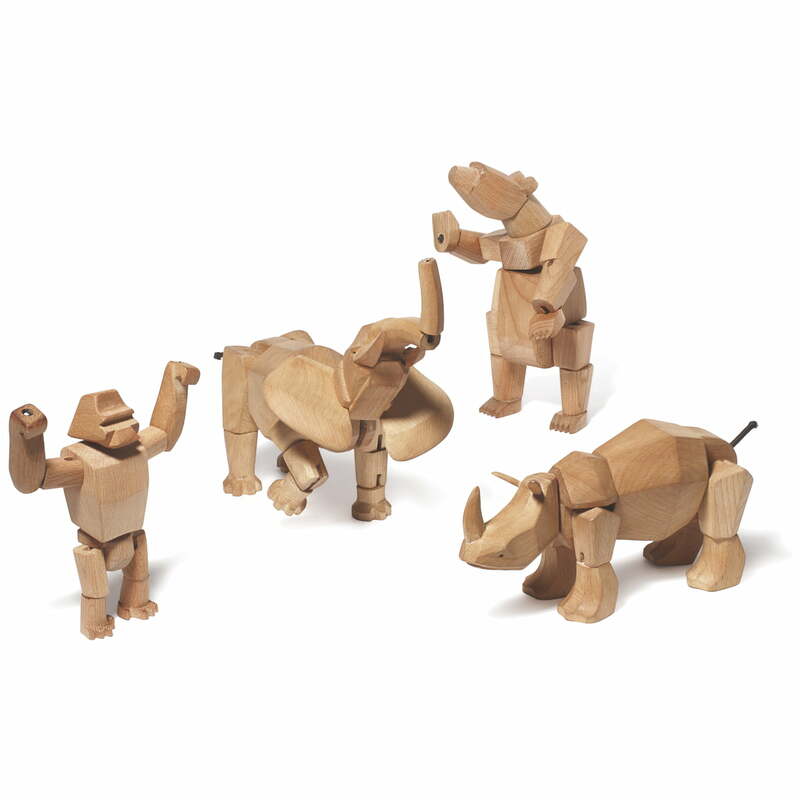 The amazingly realistic Ursa hard-wood model can adopt many different poses. The joints and muscles are kept together by flexible rubber bands. 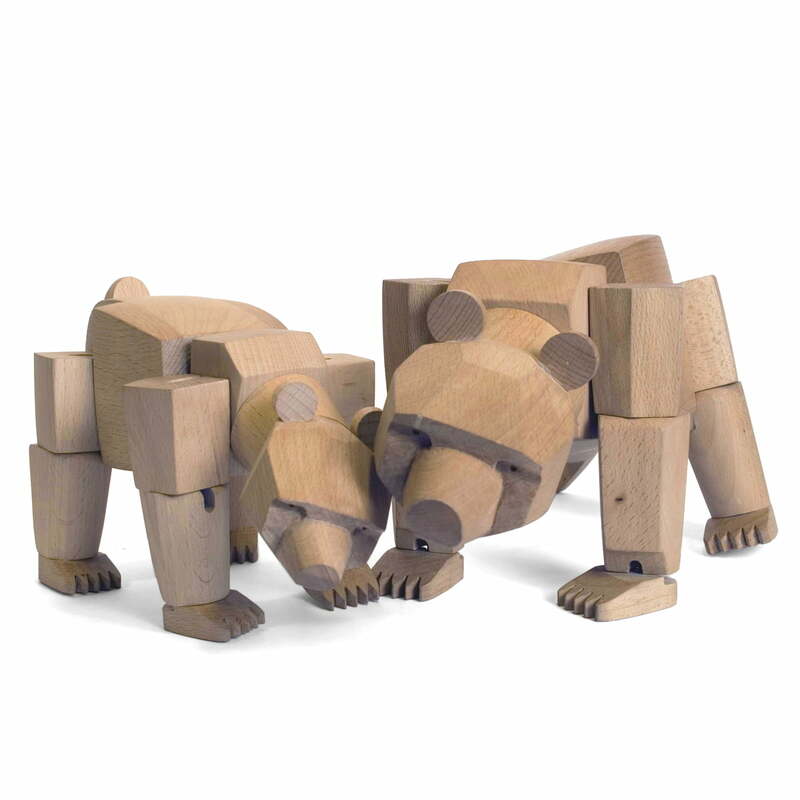 Designed by David Weeks, Ursa the Bear is manufactured by the American manufacturer areaware out of sustainable obtained beech wood. 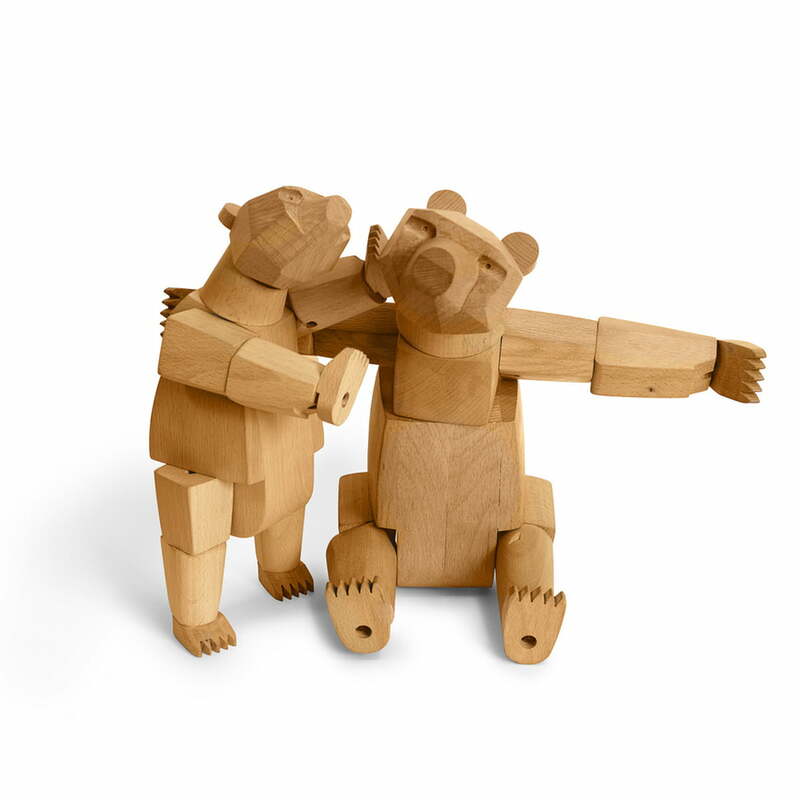 With a proper care and handling, Ursa is a long lasting company: the wooden model is hard and robust and therefore resistant to nearby every shock. 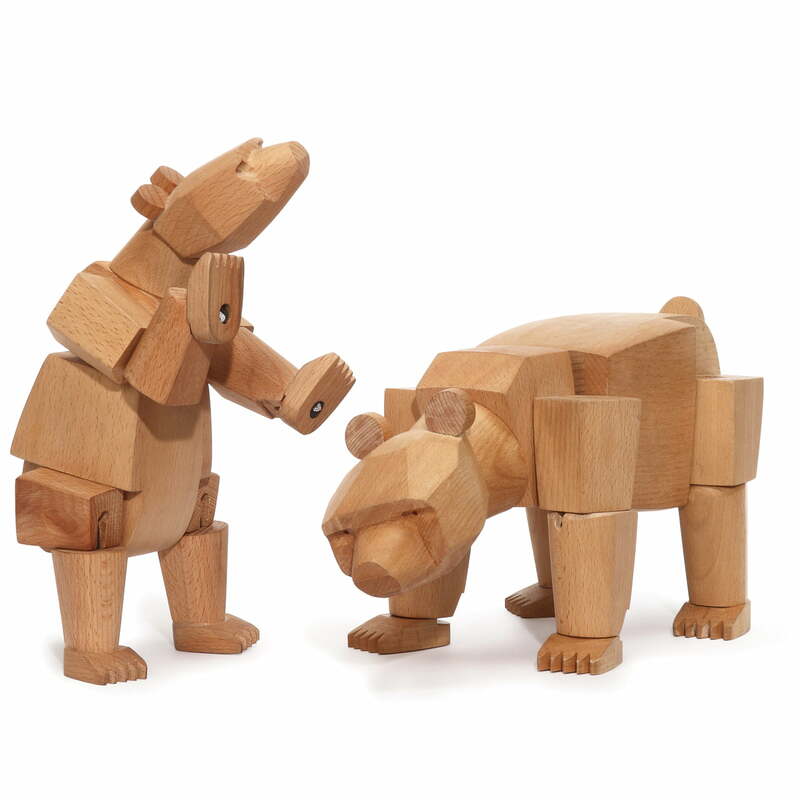 Regarding the appearance and quality of the material, Ursa is timeless. 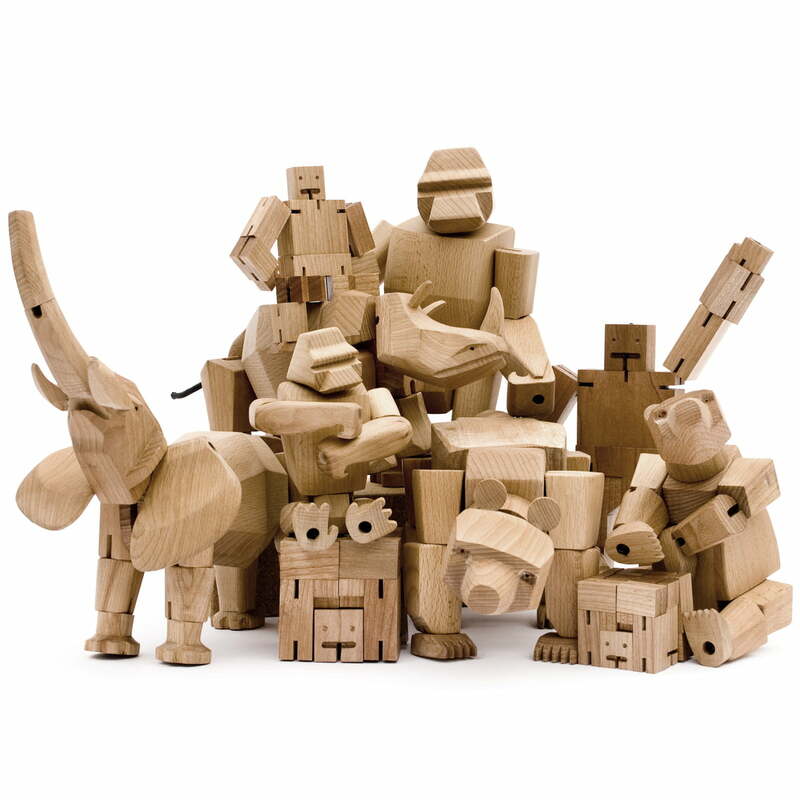 The wooden toy from areaware is made to survive generations of playful hands. 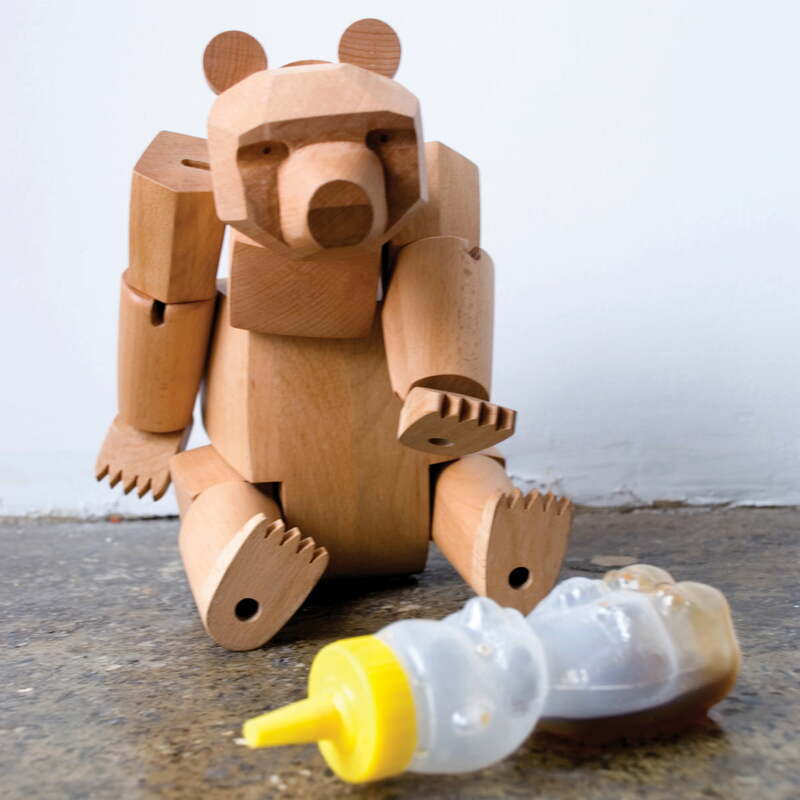 However, this charming bear is not only a toy, Ursa also feels comfortable on the desk or shelf.